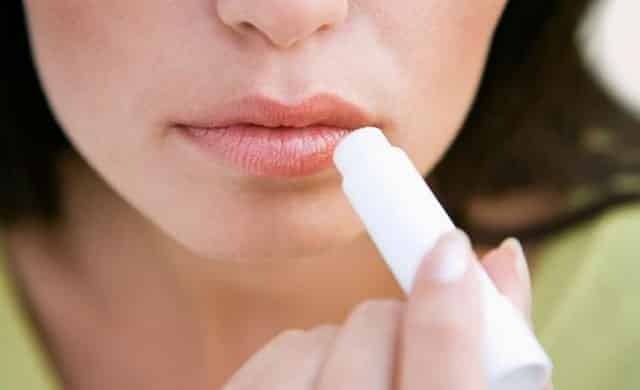 Chapped Lips Vitamin Deficiency – Vitamins are complex compounds that are important for the body in performing its functions. Some vitamins are beneficial for bone, others are useful for maintaining cells and skin. Among the vitamins that work to regulate skin health is vitamin B complex. The skin on the lips is very sensitive, so it takes enough vitamins to keep them up. Cracked lips are associated with vitamin deficiency, and the role here is the complex vitamin B. So, treating it must done by consume vitamin B-rich foods. Here we see the benefits and importance of each vitamin B. Lack of vitamins, such as vitamin B complex can cause chapped lips. In the pharmaceutical language called riboflavin, this is a vitamin needed by hair, nails, and essential for healthy skin including lip health. One cause of mouth and lip injuries is vitamin B-2 deficiency. The best sources of vitamin B or riboflavin are green vegetables, eggs, nuts, nuts, fat-free meat. Adults need 2000 calories, and children over 4 years need 1.7 mg of riboflavin. Base on data from U.S. Food and Drug Administration. Cracked lips are also associated with vitamin B-6 deficiency. Even also associated with dermatitis and occur broken and injured at the edge of the mouth. This vitamin is also called pyridoxine. Adults and women up to age 50 should take 1.3 mg of pyridoxine / day. Among the sources of foods containing vitamin B-6 are meat, grains, legumes, and green vegetables such as spinach, green mustard and broccoli. Furthermore, vitamin B which is important to prevent chapped lips is vitamin B-3. Lack of vitamin B-3 can cause dry lips, dermatitis, chapped lips, red tongue and swollen mouth. We need 13-20 mg of niacin or vitamin B-3 in a day. Among the foods that are sources of niacin are tuna, beef, cereal grains, halibut, poultry, been, green leafy (green) vegetables and milk. If you experience broken lips or sore on the mouth, try multiply to consume foods that become a source of vitamin B complex. This vitamin also includes things to note because excess vitamin A can cause poor lip health. Vitamin A poisoning is fatal to health. So, vitamin A should not go beyond the threshold. Vitamin A comes from two sources, namely: retinoids, this is a vitamin derived from animal food sources. While another one is carotenoids, this source of vitamin A comes from plants. Based on data from the University of Maryland Medical Center, said that vitamin A can be filled from everyday food. However, if you take vitamin A supplements then the potential for vitamin A toxicity is greater. You should also know the source of vitamin A. Among the sources of vitamin A are dark green leafy vegetables, yellow-orange vegetable, eggs, calf, poultry liver, and milk. Zinc is also very important for skin health. Dry, rough, cracked lips are also associated with zinc deficiency. We need 10-25 mg of zinc every day. If it exceeds this limit then the body can be zinc poisoning. Among the foods rich in zinc are turkey, beef, beans, nuts, swiss, ricotta and gouda cheese. That’s a glimpse of chapped lips and vitamin deficiency. Consider foods rich in vitamin B-complex and zinc and limit vitamin A. Because excess vitamin A can cause poisoning.